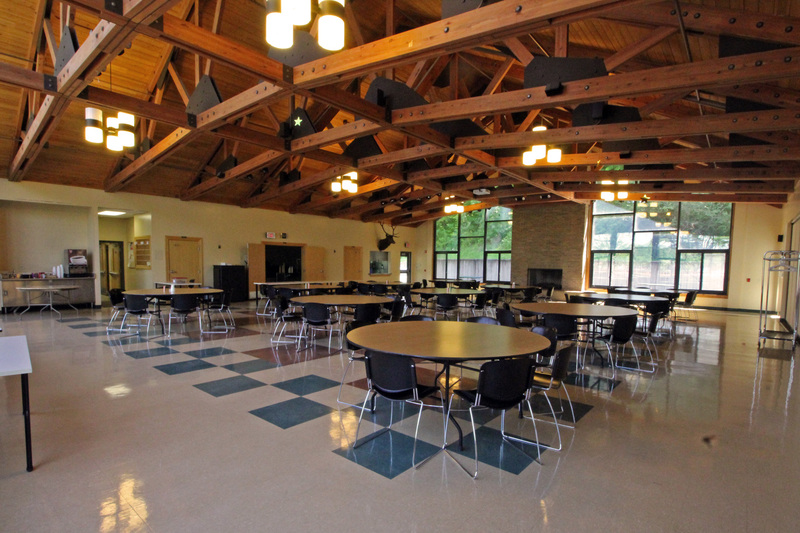 Completed in 2000, the Great Lakes Center provides 18,000 square feet of versatile conference and reception space. The dining commons seats 200 people theatre style or 140 people seated at tables. With the addition of the overflow area, the numbers increase to 300 people and 230 people respectively. Great Lakes Hall (break-out rooms) seats 140 for planning sessions (theatre style), or may be divided into as many as four intimate seminar rooms. 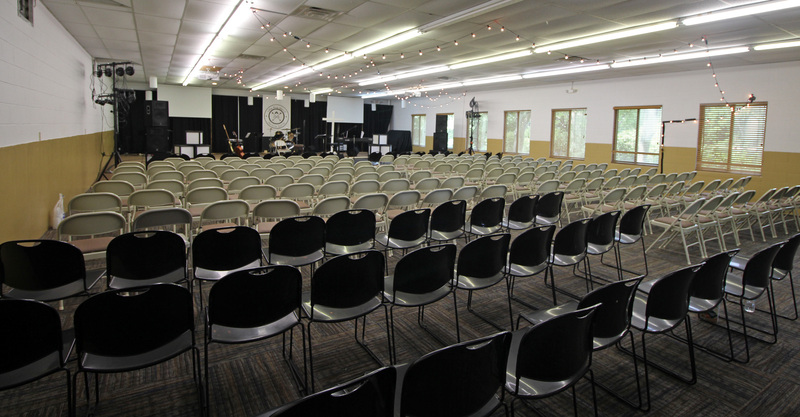 The Activity Center - which is our largest indoor room- seats 180 (theatre style). 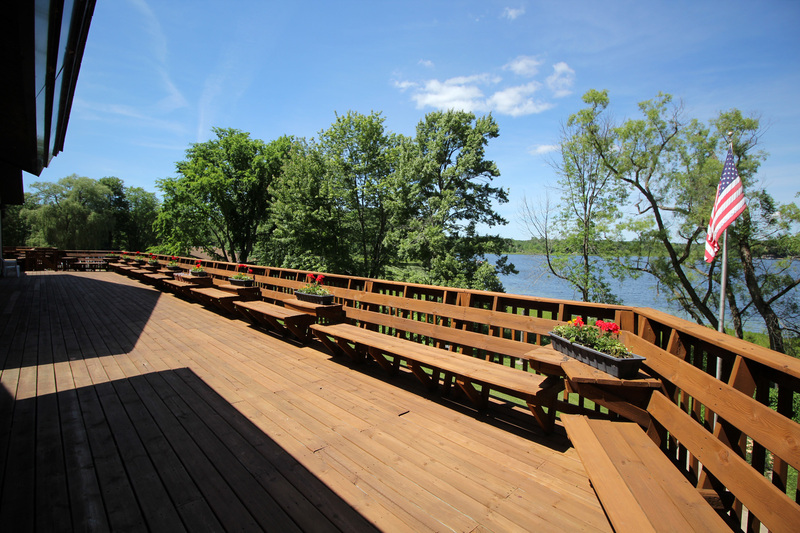 The second floor deck provides a breathtaking view of private Little Pine Island Lake and is easily accessible via indoor elevator. 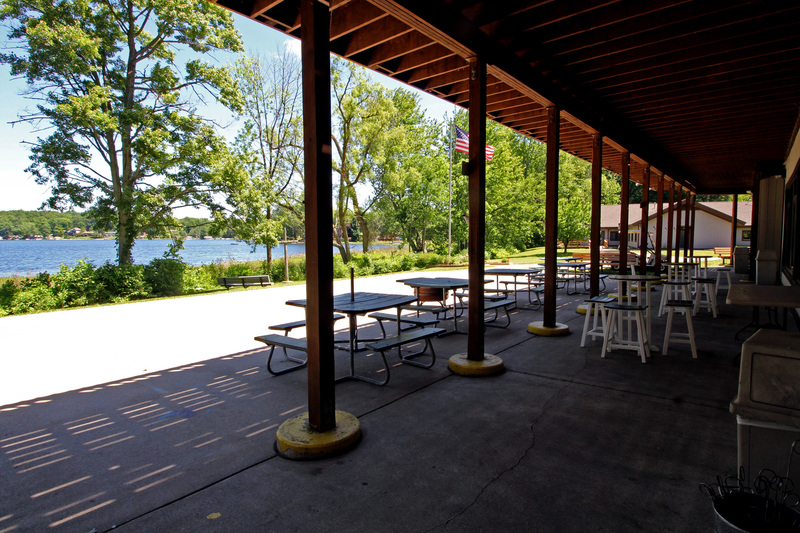 Home cooked, quality food services make Little Pine Island Camp your home away from home. 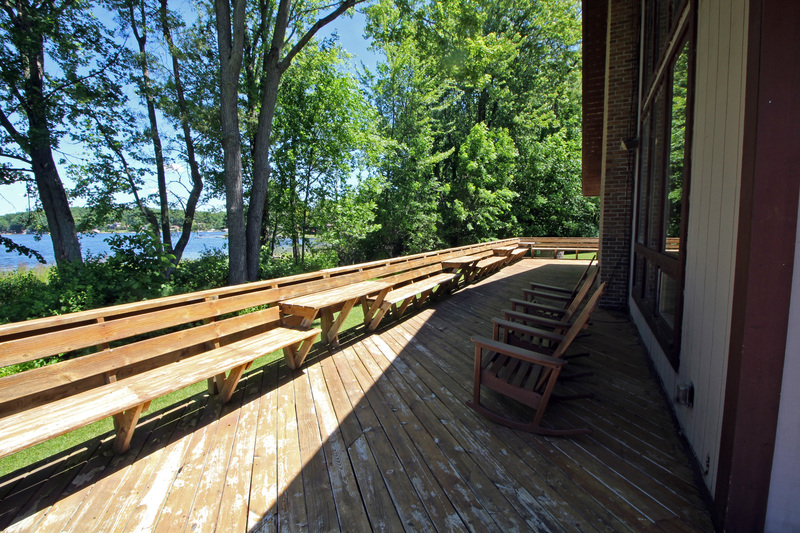 Little Pine Island's flagship residence is as beautiful inside as it is on the outside. 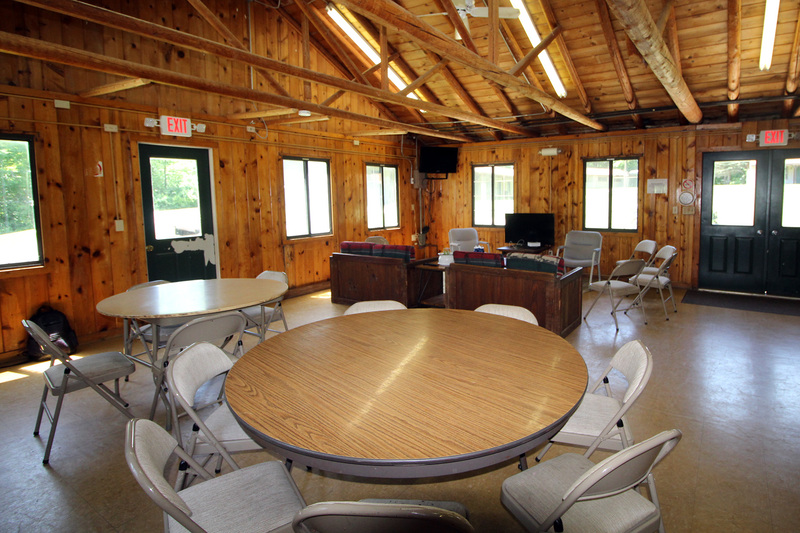 With 16 individual guest rooms, separate men's and women's facilities, dining and exquisite meeting room, the "Lodge" is perfect for adult overnights or day seminars. If comfort and convenience are key, you can have both in this serene setting. Enjoy a beautiful open room bursting with possibilities. 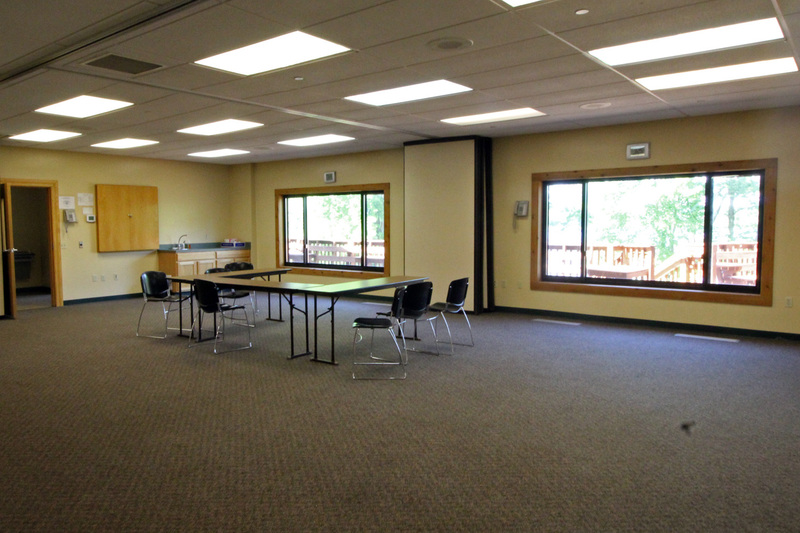 Utilize the large whiteboard, overhead, folding padded chairs (50) and much more for your meeting. 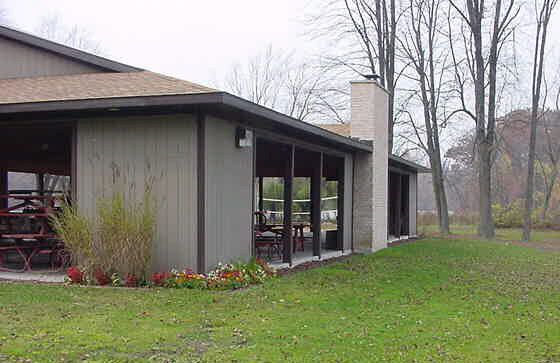 Or if you prefer you can simply relax, enjoy the fireplace, play the piano, watch a movie on the big screen television or enjoy the close-up view of Little Pine's Lake. Spending a night in one of the 16 bedrooms is both comfortable and practical. 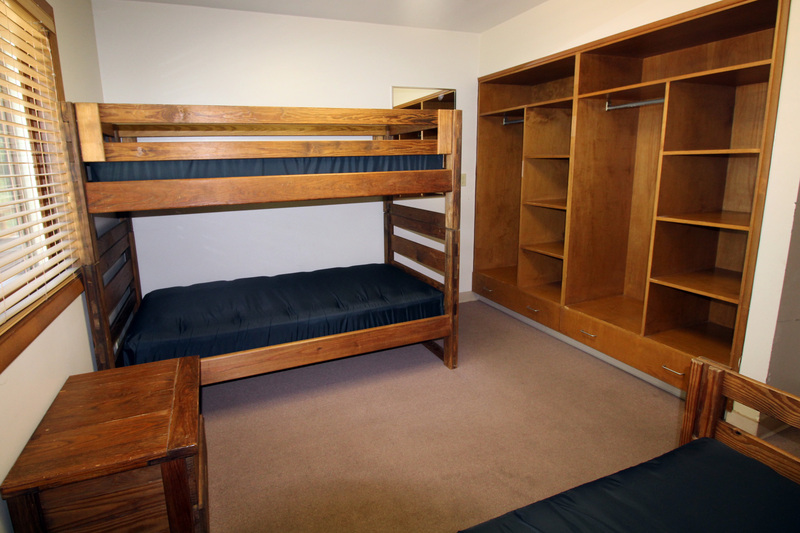 Whether you stay in one of the two bedrooms with a queen size bed or in one of the 14 rooms with a twin bed and a twin bunk bed, our accommodations will serve you well. Plentiful storage space is provided in each room. 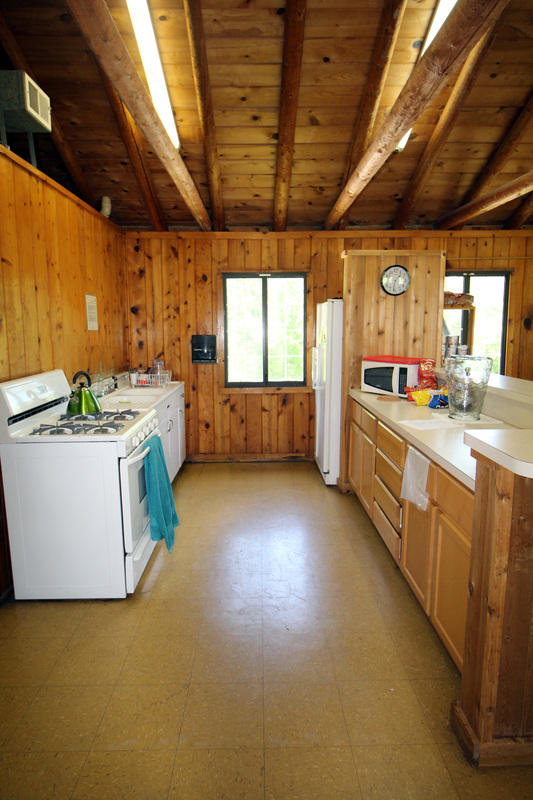 With 46 bed spaces, Little Pine's Lodge is the practical size for most groups. 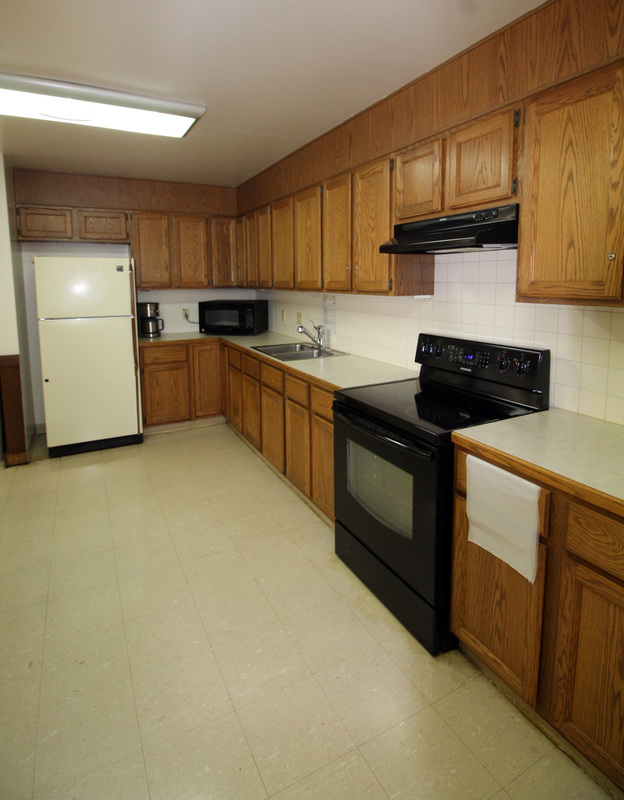 Our attractive kitchen is a great option for those who want to prepare their own meals. A refrigerator/freezer, range, microwave, two 12-cup coffee pots as well as a separate refrigerator and plenty of counter and cupboard space allows for efficient food preparation and service. Remember to bring plates, cutlery, pots and pans, etc. 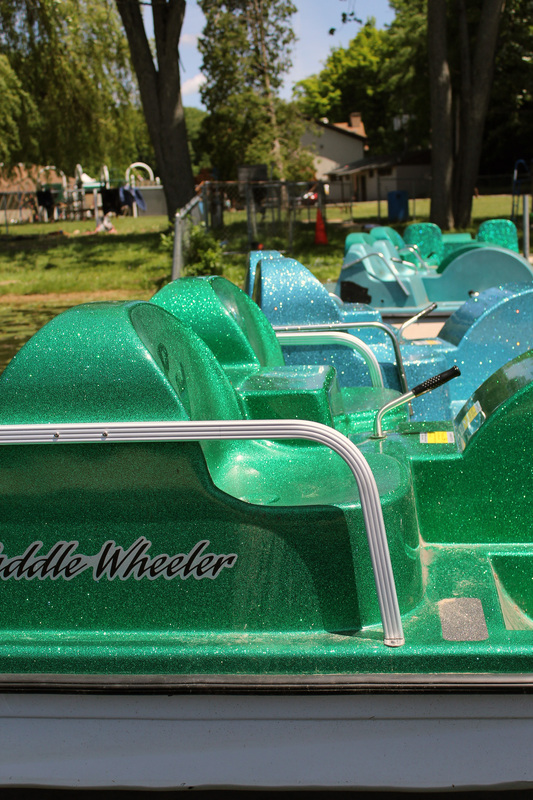 With seating capacity of up to 50 people, great possibilities abound. 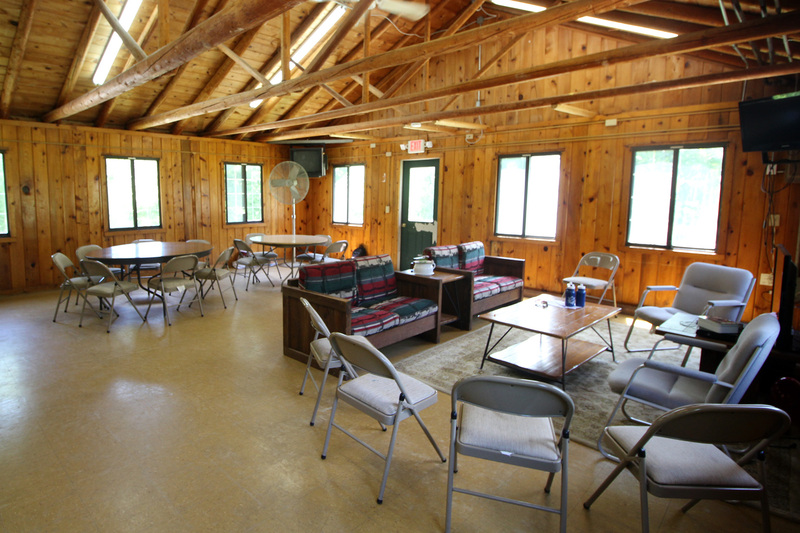 A quaint meeting area with its wooden cathedral ceiling and cedar log trusses are the unique components of the Cedar Lodge. 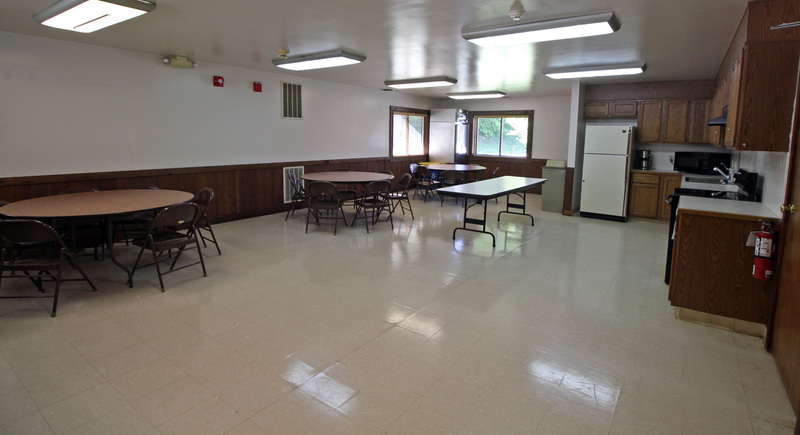 Equipped with bathrooms and kitchenette, it is ideal for meetings and small group dining. 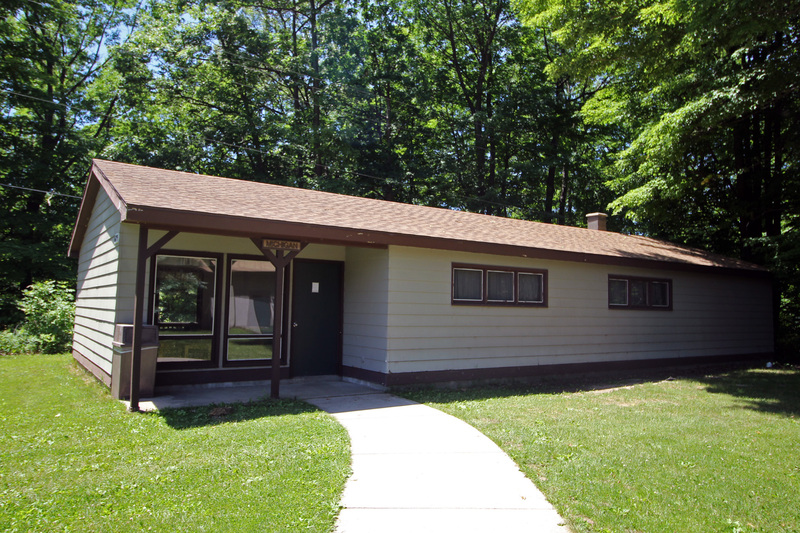 The dorm style lodges sleep 16 people. 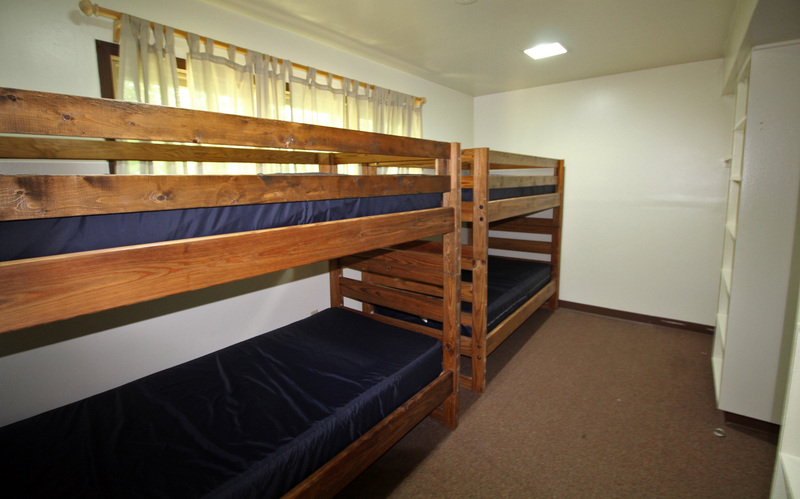 Every room is furnished with two twin sized wooden platform bunks. 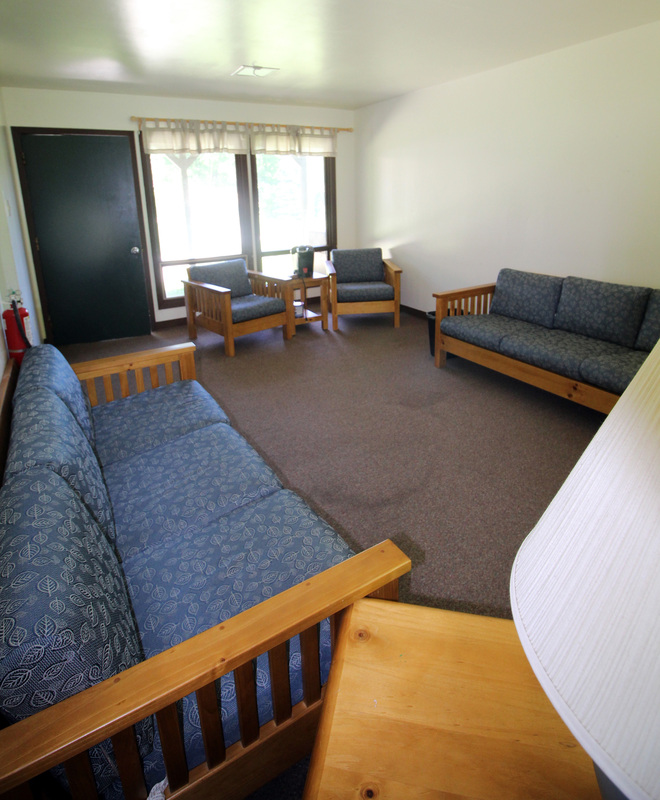 Both summer staff dorms are suitable for same gender or single family housing. 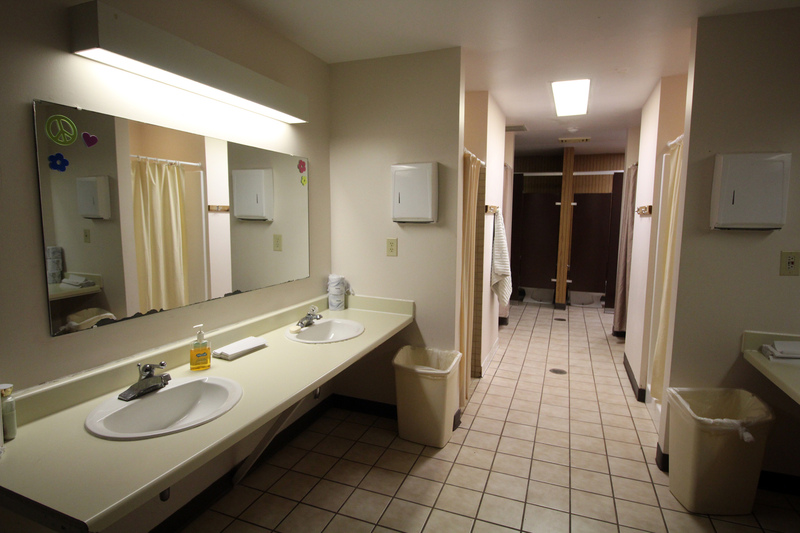 Showers have privacy dressing stalls. 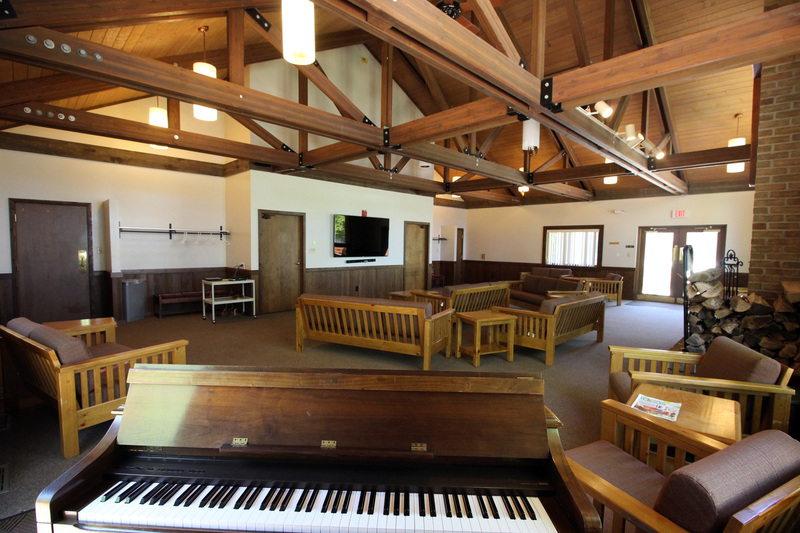 The front lounge is convenient for mini-group sessions of up to 10 people. For your convenience a housing sheet is available which indicates bed spaces and room numbers. 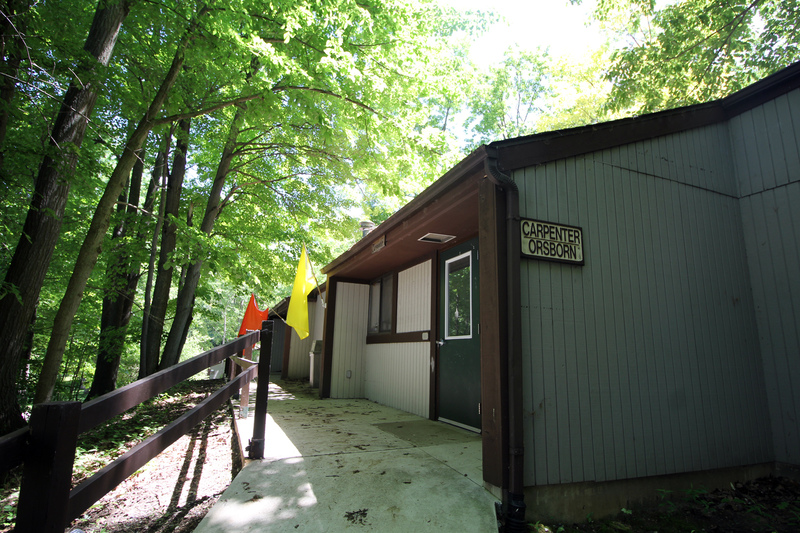 For large groups, we have eight bunk-house style cabins (four for guys and four for girls), equipped with full bathrooms. 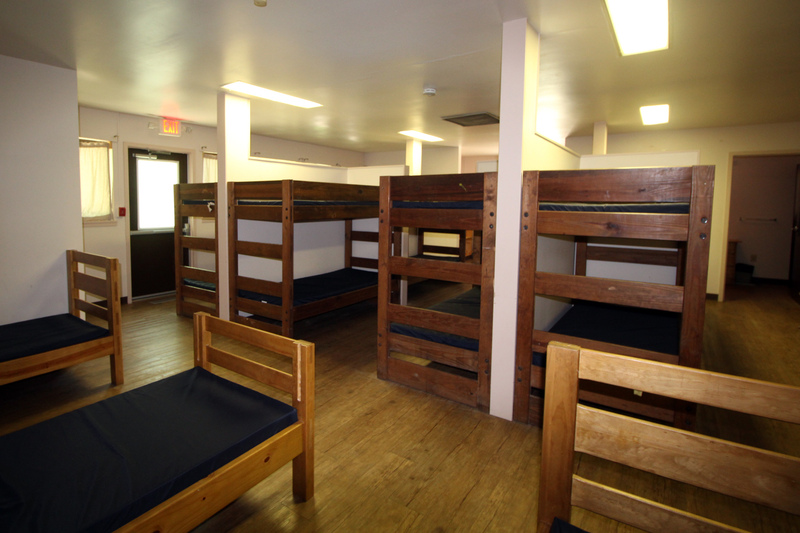 Each cabin holds 22 sleeping spaces, with 20 in the main area, and two in a small counselor room. With room for 160, this old time “Town Hall” recalls the American West. 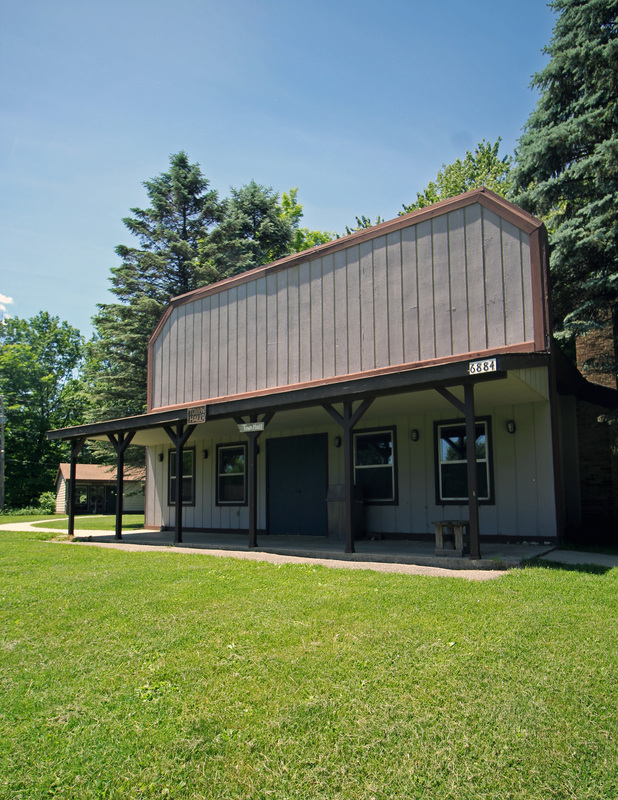 A fireplace and open beam ceiling provide a comfortable atmosphere for lectures, seminars, group meetings, family parties or just plain fun. 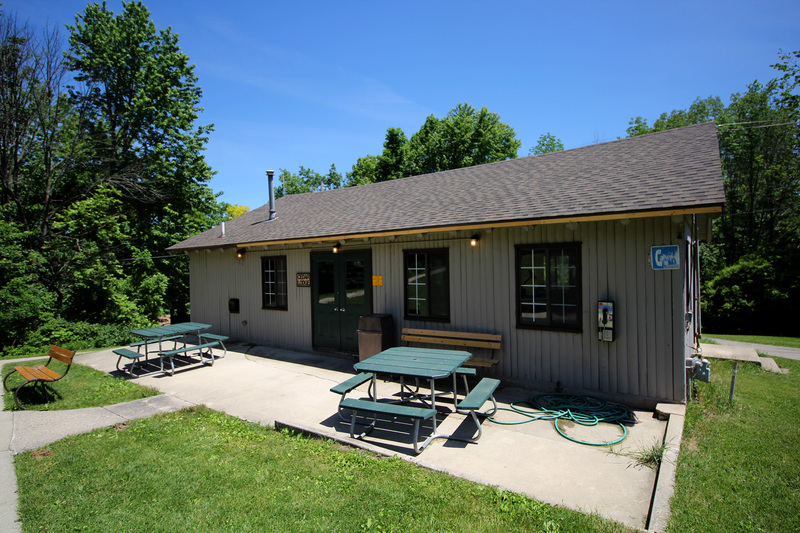 This multi-purpose building has a concrete floor, platform and restrooms. It is suitable for small seminars, large gatherings, work projects, resource center, crafts, exhibit hall, game room, photo studio and much more. 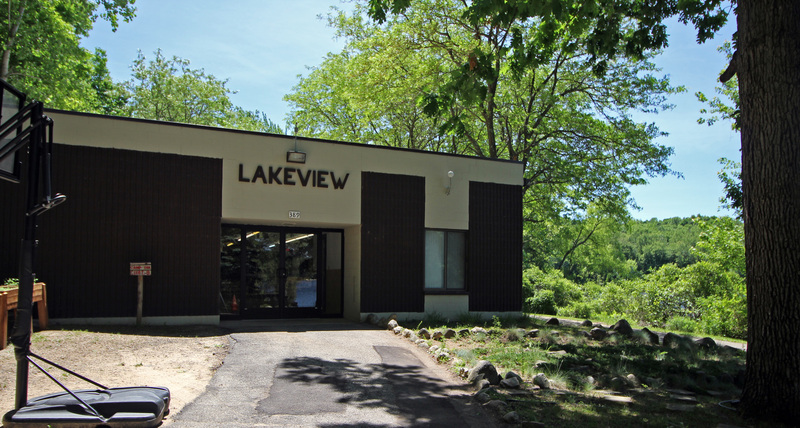 The camp office is located in the Lakeview facility. 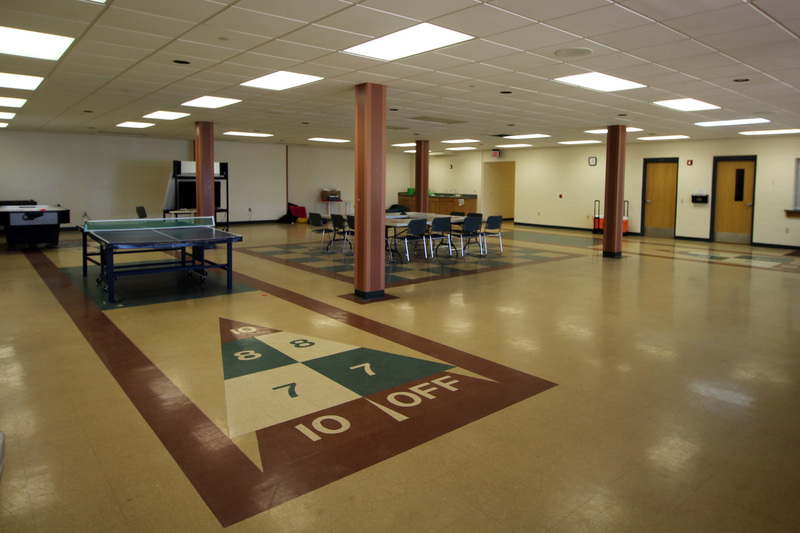 The dimensions of this facility and a list of furnishings are available. 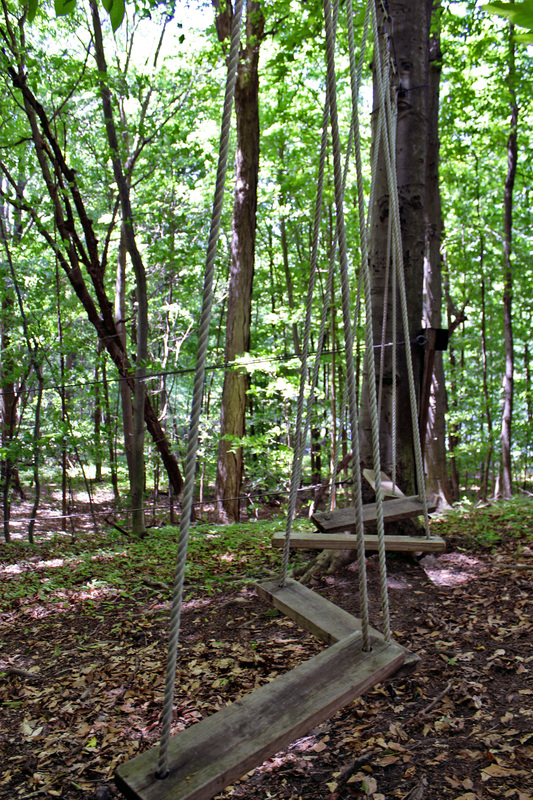 Little Pine Island has plenty of space to relax and enjoy the outdoors! 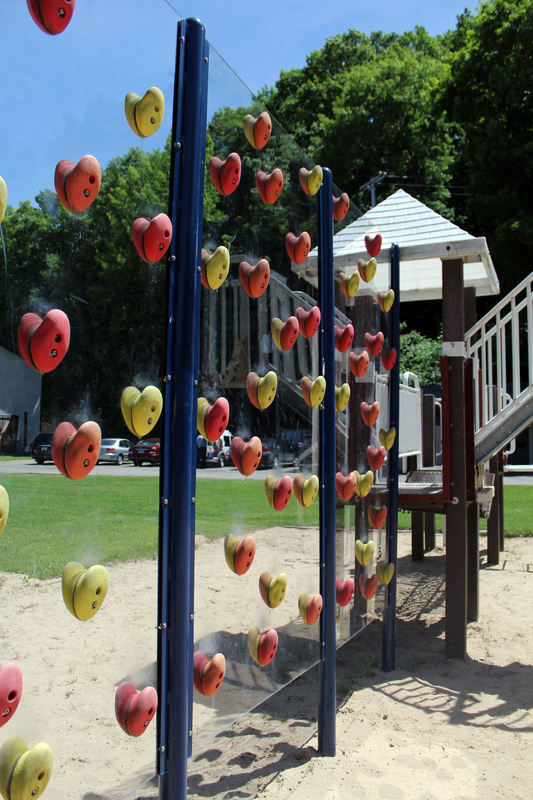 A lakeside playground is fun for kids, while our high and low adventure course is a challenge for all ages. 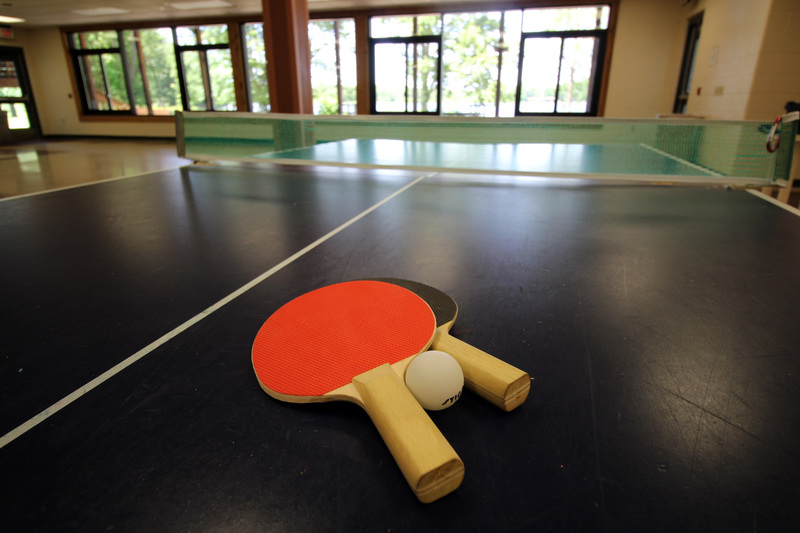 We have a large playing field that is great for baseball, soccer and other outdoor activities, plus a waterfront equipped with paddleboats, kayaks and canoes. 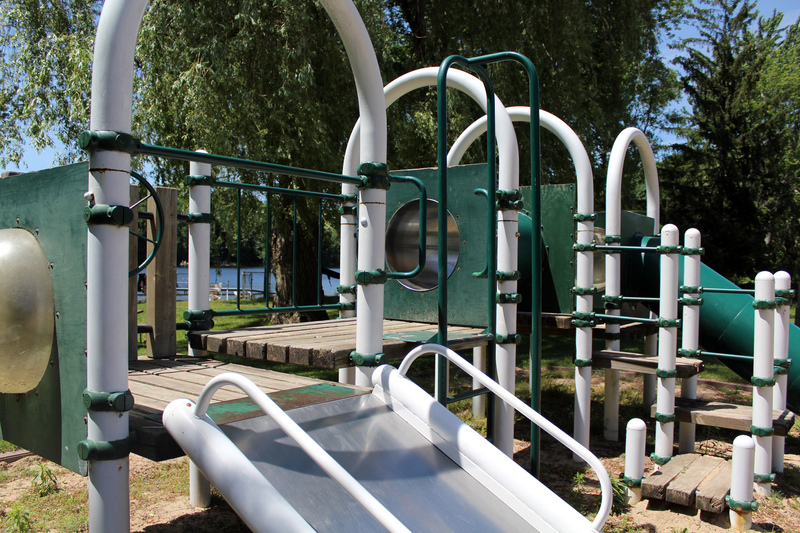 If you would like to use any of our outdoor facilities, please let us know (because some require additional staffing). The open air pavilion has 8000 square feet all under a tall roof. 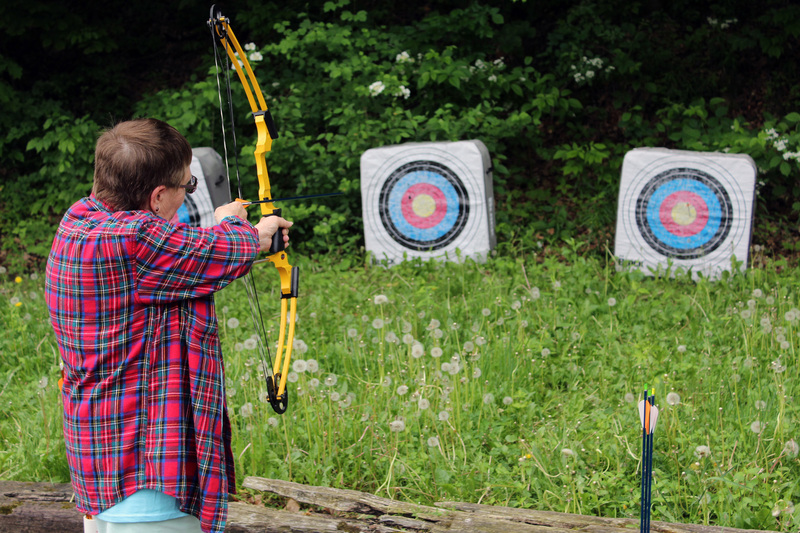 This facility is a beautiful setting for activities ranging from a family picnic to a outdoor wedding. A fireplace makes this the perfect location for an event even when it’s chilly. Little Pine Island Lake provides a beautiful backdrop. Fees for food service vary widely. We encourage you to contact us so you know the options available to you. A downloadable menu is available as you may choose what we serve you. There is a 40 person minimum for a three meal option, 60 for two meals, and 80 persons for one meal. You must submit an exact number of persons we will be serving at least 7 days before the first meal is served. This allows us to order the food in a timely manner. The menu should also be submitted at least by this time. Dinner 5:30 – 6:15 p.m.
Late Supper or Snack Service 9:00 p.m. If you desire to have meals at alternative times, you must contact the Assistant Camp Director. Contact Laura Montalvo to book an event at Laura_Montalvo@usc.salvationarmy.org or by phone at 616.784.1404 x 4211.